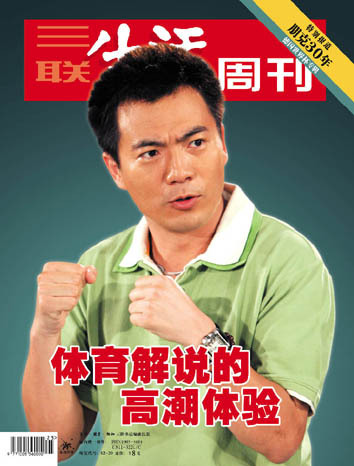 Have you head about Chinese sports commentator Huang Jianxiang (黄健翔)? Then have you heard about the awesome metal mashup “song” on the Chinese blog 不许联想 (also via Danwei)? Go listen to the mashup, then if you’re interested in what he’s saying, check out the Chinese transcript (with pinyin) I put up on the ChinesePod blog. Living in the States, I’ve never heard of this guy, but I definitely enjoyed his over-the-top hysterics in the Italy-Australia game. He sounds even crazier than the Mexican commentators who, whenevever there’s a goal, scream “GOOOOOOOL-OL-OL-OL-OL-OL-OL!” for like a full minute. Next to them, American commentators are way too bland. brilliant John, thanks for taking the time. @DXC I think China’s excuse is that either you need money to build soccer fields or a lot of free land. They did make it in 2002 though, but they got placed in a really good group (w/ Brazil and Turkey).